It seems we’re back on the summer condiment theme. 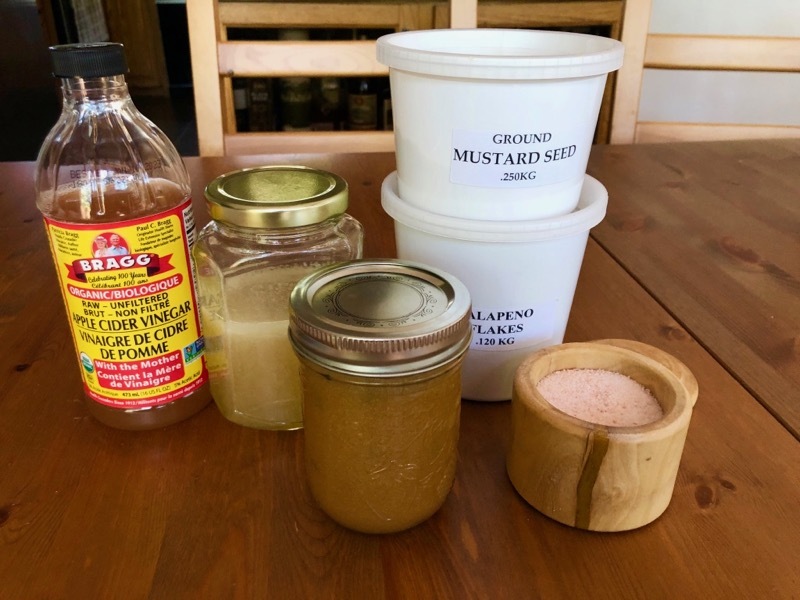 When your brother gives you raw honey from his hives, you make mustard. The mustard powder provides that horseradish sort of heat and the jalapeños contribute to the after-burn. You could omit the jalapeño flakes, but where’s the fun in that? I’m aware honey is essentially sugar and this is a sugar/grain-free site, but for most people, a little in moderation as a condiment is just fine.